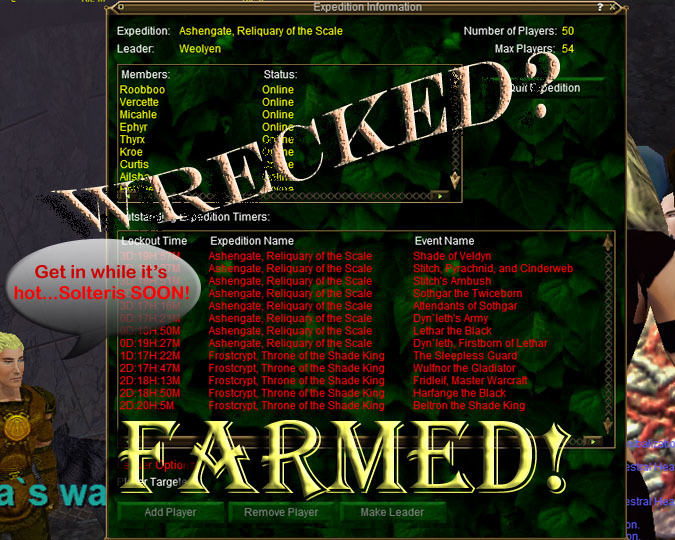 Wreckers :: View topic - Farmed! Posted: Tue 19 Feb, 2008 9:47 pm Post subject: Farmed! Wreckers is an Australian based casual raiding guild raiding each Monday, Thursday and Saturday nights. Feel free to PM or send a tell in game to either Aamasie or Thoraf, or indeed any Wrecker if you would like further information. Please see this thread for recruitment details.